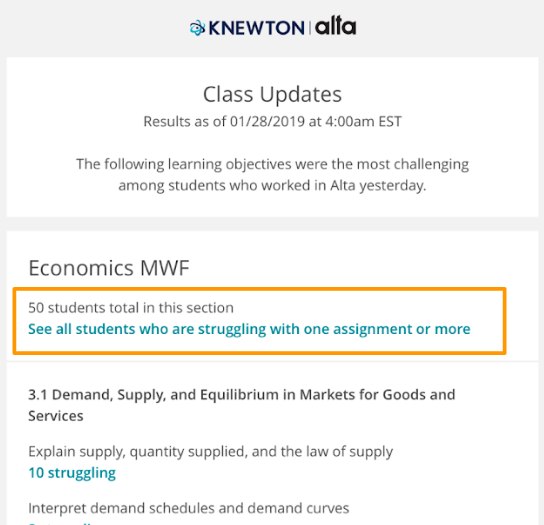 Alta monitors daily student performance to identify struggling students for you to review, based on assignments they are struggling within. You will be notified about your course data via our 'Class Update' email to review periodically. You can unsubscribe by toggling the email notifications on your account settings page. To learn more about what a 'struggling student' means in alta, check out this help article.